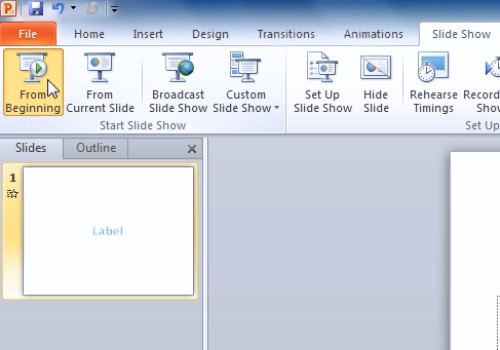 In this video tutorial we will show you how to make PowerPoint text appear on click. Create the label you want to animate. 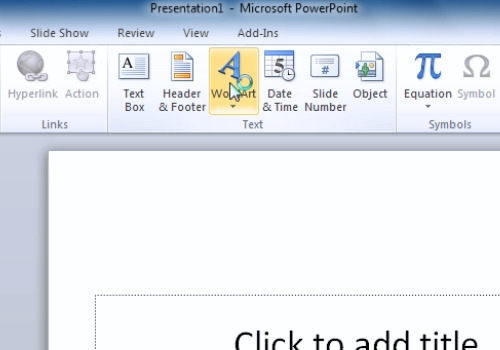 For example use the “WordArt” button from the “Insert” tab. Click on the “Animations” tab. 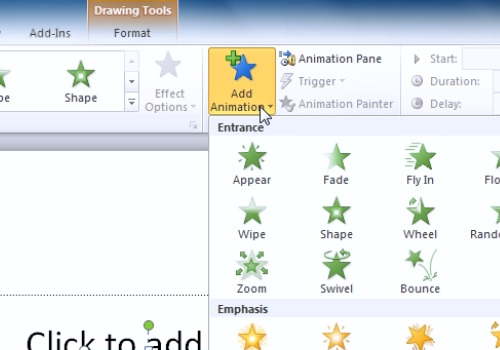 Select the label with the left mouse button and open the “Add Animation” drop-down menu from the toolbar. To check the animation, hover the cursor over the relevant icons. Select the appropriate animation by clicking on the icon. Select from the “Start” drop down menu the “On click” option. Set the duration time and the delay if necessary. Click in the Slide Show tab the button “From beginning” and check the result.